The battle rages on between the two kingdoms – light and darkness, evil and good, the realities – spiritual and the physical. So it was in the beginning and so it would be until the return of our Lord Jesus Christ. We do not wrestle against flesh and blood but against powers and principalities in high places. Developing a personal relationship with Jesus guards us from deception. The Holy Spirit is indwelling, and he helps us to discern the truth from the lies. We must learn to walk by the Spirit daily. Fear is the total opposite of faith, and so when the Lord says, ‘do not be frightened’, He is also saying, ‘have faith’. In the face of life battles, whatever they may be, the Lord says, ‘do not worry beforehand about how you will defend yourself ‘. Shadrach, Meshach and Abednego replied to King Nebuchadnezzar, ‘we do not need to defend ourselves before you in this matter’. They knew God as the defender of Israel and he proved himself, though they were thrown into fire, they came out alive, even, not smelling of smoke. Affirmation of our faith starts with our spoken confessions. Words of faith build faith within us. From the well within our hearts, God’s word, we speak life and death. Life as it relates to the expansion of Gods kingdom and transformation of lives. And unto death, we speak in Jesus name, to destroy all ungodliness, unrighteousness and wickedness. ‘Not a hair on our head will perish’ so says the Lord. Halleluyah! We are conquerors in Christ Jesus. And finally, we must stand firm to win eternal life. To stand firm we need courage, resilience and strength. No shaking, No wavering. We must set our eyes on the author and finisher of our faith. The one who knows the end from the beginning. 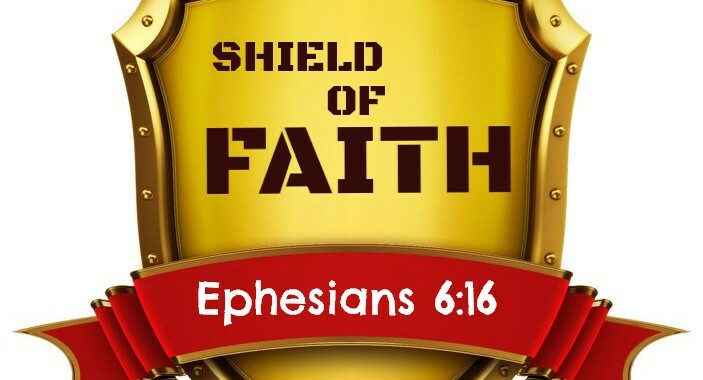 The Lord will teach us the art of mastery, using our shield of faith to extinguish all flaming arrows. Be attentive to the voice of the Lord, and write down every word of wisdom inspired by the Holy Spirit. Be expectant.